Kiplinger’s list of five great free financial apps features BillGuard, Mint Bills, Level Money, SavedPlus, and Wallaby Financial. Aptys Solutions Announces New CEO and CTO. Center for Financial Inclusion highlights Dwolla, Klarna, Kreditech, Receivables Exchange, and Wealthfront in its review of Australia Wealth Investor’s top 50 fintech innovators for 2014. First Electric Cooperative deploying TextPower SmartAlerts. WePay makes Bobs Guide’s “Fintech Startups to Watch in 2015” list. Misys awarded SWIFT Certified Application labels for trade and supply chain management. CrowdCurity launches newly designed website. Time magazine lists Nymi as 1 of 5 most important things happening at CES 2015. Forbes: Xero Wants All Small Businesses To Do Accounting In The Cloud. Tradier releases Morningstar-sourced fundamentals APIs to beta. Cachet Financial launches Co-Branded Option for Select Mobile Money Solution. PYMNTS interviews CAN Capital CMO James Mendelsohn about access to alternative funding. Taulia launches “Take Control” campaign to help companies better understand early payment solution. NCR to sell new mobile imaging solutions from Mitek. Backbase teams up with Accenture to help FIs improve customer engagement through digital channels. Dwolla announces role as payment partner for Microsoft for Government initiative. Australia-based ME Bank deploys core banking system, business intelligence, and anti-money laundering solutions from Temenos. MasterCard launches MasterPass in France and Russia. Finovate Debuts: eMoney Advisor Provides Financial Advisors with a Suite of New Planning Tools. Independent Financial Advisor takes a look at Motif Investing and Wealthfront. Xero reaches 400,000 paying customers. Entersekt responds to FIDO Alliance’s U2F specifications with its FIDO U2F-enabled authentication solution, Transakt. Fintech for the Rest of Us blog mentions PayStand over PayPal and Stripe for bitcoin payments. PayItSimple integrates with 30 more payment gateways in collaboration with Spreedly now integrated with approximately 70% of all gateways in the US. Payfone and Early Warning partner on mobile authentication. Marlborough Savings Bank now offers Kasasa to enhance checking account offering. Spend Matters reports: Receivables Exchange the largest of the Online Invoice Auction Exchanges. Arxan announces enhanced mobile runtime app self protection (RASP) capabilities. Lendio named One of Utah’s Best Companies to Work For in 2014. Cheers to a new year! After ringing in 2014, we wanted take a look back at the capital raised by Finovate alumni in 2013. It was quite a year, with alums pulling in $825 million, $365 million more than in 2012 for an increase of about 80%. Q4 had the most capital, with a total of $294 million raised by 17 companies (more than half by Xero, which landed $150 million). Last year Finovate alums took in almost twice as much as 2012, when 44 Finovate alums collectively raised $460 million. The chart below shows the quarter-by-quarter comparison for both years. Note: Funding that companies received before they first appeared at Finovate was not counted. Questions? Comments? Email us at julie@finovate.com or david@finovate.com. 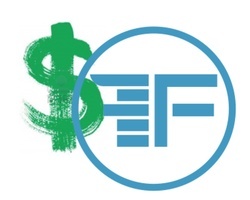 *While the funding over last year has increased, so has the number of Finovate alums. We’re tracking more than 100 additional companies this year compared to last year. Note: Funding that companies received before they demonstrated at Finovate was not counted. Questions? Comments? Email us at julie@finovate.com or david@finovate.com. 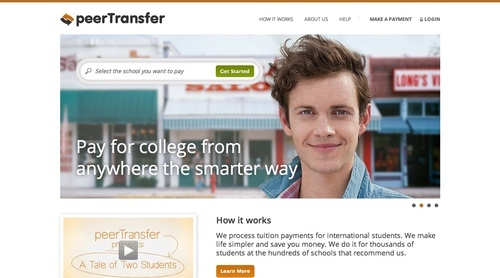 This week, three Finovate alums announced significant funding, totaling more than $34 million. Funding purpose: Further expand into the Asia Pacific market, invest further in product development, marketing, sales and operations, and accelerate growth in the U.S.
Investors: QED Investors, Spark Capital, Maveron, FIDES and KIBO Ventures. Walmart names InComm supplier of the year. Crawford Technologies announces new partnership with Striata. American Banker reports: Q2ebanking to Resell Andera Software. SumUp launches plug and play POS tech. Banno names Ben Metz as CTO. 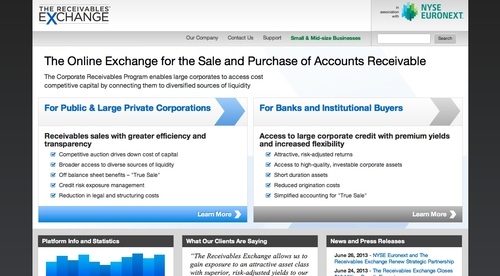 Receivable Exchange closes $10M funding round led by current investors. GoBank goes live, mobile banking app available on iOS. Newfination interviews Sasha Orloff, CEO of LendUp. IntelliResponse adds VOICES to virtual agent technology. Lloyds Bank partners with Monitise to develop a suite of mobile card acceptance solutions for micro-merchants, start-ups and small business owners. Realty Mogul tops $2 million raised one month after reaching $1 million raised mark. Finect advises FIs not to panic when it comes to spot checks from FINRA. Companies using The Receivables Exchange can be found in all 50 states and span across 50 industries. To learn more about The Receivables Exchange, watch its FinovateFall 2010 demo. 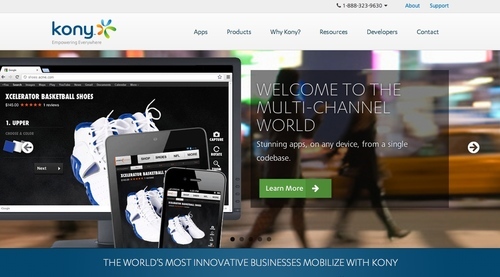 Kony Solutions partners with Independence Blue Cross to power its mobile app. Fiserv announces patent infringement lawsuit. The Receivables Exchange provides over $1 billion in funding to businesses. Intuit works with Visa to launch prepaid card. Last week, The Receivables Exchange announced a strategic alliance with Insperity Investment, a human resources and business performance solutions company. In addition, Insperity invested capital in The Receivables Exchange. The amount of capital and terms of the agreement were not disclosed.